The Old Schoolhouse Museum is located at 5493 B Street, Chino, CA, 91710. It was the first school house built in 1888 and was originally located on the corner of 5th and D Streets. In 1894 it was closed. In 1898, the building was relocated behind the Brick School (Community Building), which faced 10th Street. In 1914, the building was relocated to its present location. In 1925, the Eastside Thimble Club purchased the building from the School District and it was used for meetings and a social hall. In 1976, the Thimble Club presented the building to the Chino Valley Historical Society. In 1982, the Chino Valley Historical Society opened the Old Schoolhouse Museum. In 2013, the Chino Valley Historical Society presented the building to the City of Chino in order to further preserve Chino's history. 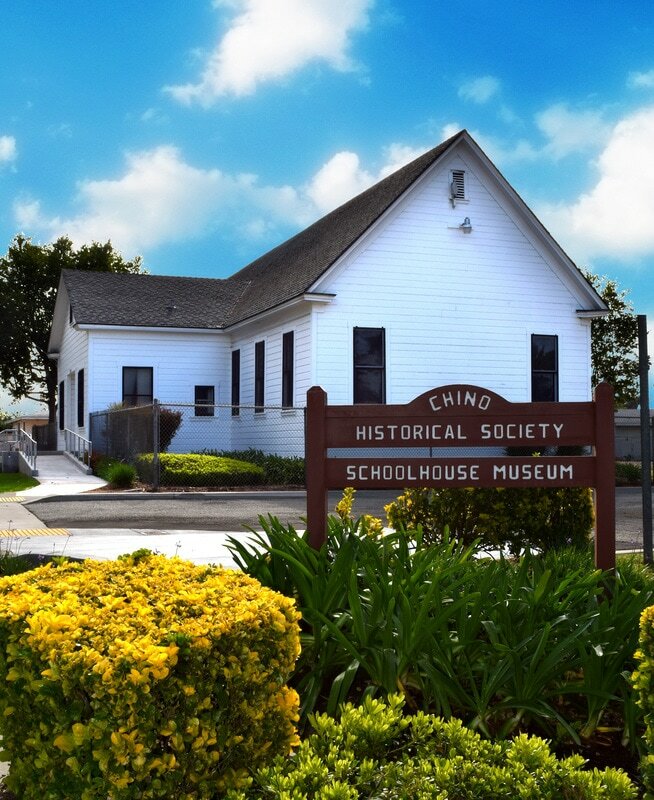 The City of Chino re-opened the Old Schoolhouse Museum on May 14, 2016, and dedicated the building to Phyllis Outhier; in honor of her dedication to the Chino community and service to the Chino Valley Historical Society. Chino Historical Walk "Old Schoolhouse Museum." Website www.chinohistorywalk.com a Eagle Scout project created by Jack Phillips with assistance of historian, Phyllis Outhier.